At Integrus, we believe that conversations change lives, not events. We prefer to facilitate conversations as opposed to holding seminars. We don’t do theoretical or motivational lectures. Instead, our one-day sessions are dynamic, skill driven, and participatory experiences. This way, all participants are actively engaged and feel as if they are being included in a conversation, not spectators at an event. Great performance does not happen by accident. Successful leaders know how to facilitate positive relationships and productive cultures that lead to strong results. The Unhindered Leader focuses on the individual and helps them cultivate their true leadership potential and meet desired outcomes. Each participant will complete a 360 Leadership Profile before the session in order to identify key personal constraints which impact their performance, and they will also walk away with a TrAction Plan, a plan for personal growth, as well as several of our leadership laws to help them grow as an individual. We know that life would be easy if it wasn’t for people, and working in teams is no different. Team dynamics are oftentimes really frustrating and really hard to figure out. The Unhindered Team participants will walk away with powerful tools to unify their team and enhance effectiveness and communication at every level. We will address relevant team topics such as accountability, empowerment, kingdom organizations vs. empire organizations, and many more. Each participant will have a 360 Leadership Profile which uncovers individual constraints, but we will take it one step further and build a team profile to uncover team constraints. The team profile will show your team’s strengths, but it will also expose some areas that your team could use some work. Our coach is also able to customize the workshop in order to meet any practical needs your team currently has. Our goal is your success, so if you have a pressing need, we can make sure to incorporate that into the focus for the day. The Unhindered Strategy guides leaders to coordinate critical systemic elements of an organization – mission, core principles, vision, alignment tools, accountability, and internal communication – to reach optimal results. Participants learn essential facilitation skills to guide their organization through a rigorous and effective strategic planning process. By the end of the day, we will help your team generate an EXCELerator Plan, which is a one-page strategic plan for your organization, and your leaders will be equipped to translate this vision into real results. Truly remarkable outcomes are possible in a classroom when trust, respect, and caring relationships flourish. Creating such an environment is a tremendous challenge. The Unhindered Classroom is a two-day learning experience that allows administratros, faculty, and staff to build positive, productive, trusting relationships - among themselves and with students. This process can transform the classroom and campus environment, preparing the way for high performance. We know that no two situations are alike. At Integrus, we want to be able to serve you in whatever way best meets your needs. Unhindered Influence is a way for an individual to have a coaching relationship that is tailored to their current situation. If you want a coach for 6 months, one year, two years, we will make that happen. Our goal is your success, and we are willing to do whatever it takes for you to be successful. Of course, our 360 Leadership Profile will be the basis for our coaching, but our coaches are there for you to explore any other areas that you are seeking coaching. Our coaches have been in and out of ministry, in and out and coaching, and in and out of the corporate environment, so they will be able to provide you with a unique perspective from their experiences. We also have a leadership curriculum that we will cover during this length of time to equip you with more tools as you are striving to enhance your leadership ability. Every individual has constraints, behaviors that are holding them back from being the greatest version of themselves. Whether it’s in your business or in your personal life, we can leverage our 360 Leadership Profile to uncover your behavioral constraints and help align your behaviors with your goals. In Unhindered Coaching, we will pair you up with a coach on staff, and they will help coach you through your constraints and come alongside of you to encourage and support you through the process. Each individual will receive a profile and three phone coaching sessions with their coach. Their coach will also develop a TrAction Plan, a plan for personal growth, so they have a written, tangible plan to help them in the growth process moving forward. All teams and coaches have constraints that limit their effectiveness and potentially can compromise their mission. The goal of Unhindered Performance is to identify and address the constraints that impact each player and processes that hinder the team. Our 360 Leadership Profile will be used to identify key personal constraints and insights into each player and staff member, including the head coach. Based on these insights, the coaching staff will receive a written document that details the specific behavioral tendencies and communication cues for each individual. This allows the coach to better understand what makes his players and staff tick, and will also allow them to coach each individual most effectively. What if you knew how a future teammate would behave before you hired them? Would this reduce the potential for a catastrophe down the road? Unhindered Staffing gives you the opportunity to do that. 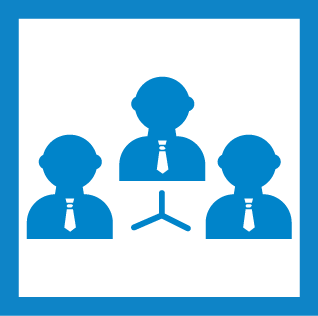 We provide you with three 360 Leadership Profiles that you can use on applicants to your team. After the profiles are complete, one of our coaches will get on the phone and walk you through the strengths, constraints and behavioral tendencies of each individual. This way, you know what you are getting into before you make the final decision. We would never suggest using our profile exclusively, to hire somebody, but it is more of a screening tool in the hiring process used along with the applicant’s resume, transcript, etc.